DC Comics is revamping the "Justice League"
DC Comics is set to reinvigorate its Justice League franchise via a relaunch that will look to bring the classics back to the forefront with the likes of Batman, Superman, Wonder Woman, Flash, Cyborg, Martian Manhunter, John Stewart’s Green Lantern, Aquaman and Hawkgirl. Reminds me of the glory day of Cartoon Network for some reason. 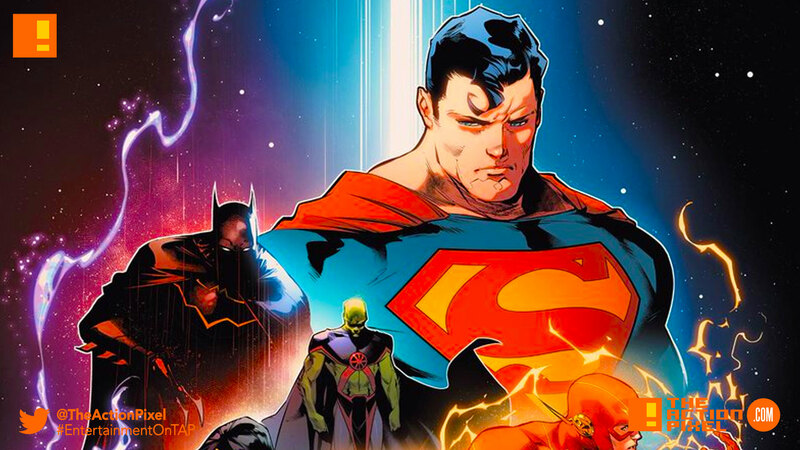 Writer Scott Snyder went on social media to announce his working on Justice League beginning in June, with Jim Cheung and Jorge Jimenez working on the art. An awesome team up in itself. JUSTICE LEAGUE #1 arrives in stores June 6, followed by JUSTICE LEAGUE #2 on June 20. Below is a first look at both Cheung and Jiménez’ covers for their issues. Fans can also expect variant covers by Jim Lee and Scott Williams. So by all appearances, we may have a monster on our hands. But what do you think, will we be getting a rehashing of things already done and seen. Or will we be adding on to the vast canon that is the DC Universe?